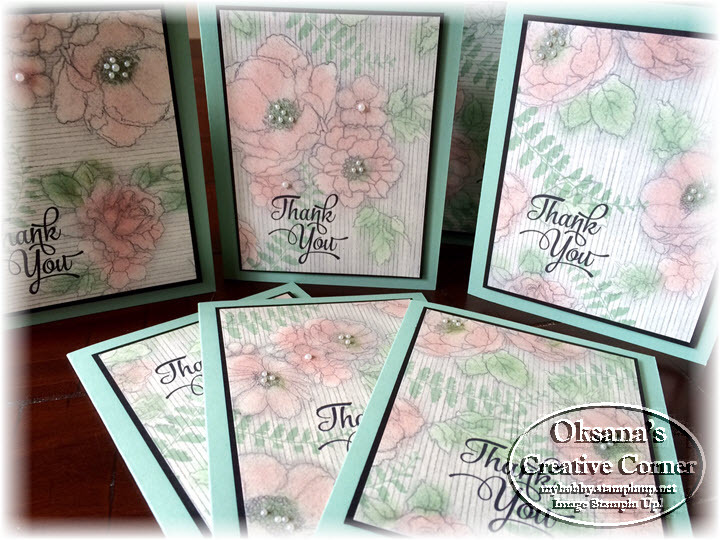 I was in need for many quick, easy and elegant Thank You cards this weekend for my club and online orders. I also needed few more to send to my friends who joined our family in celebrating very special event this Sunday. And Timeless Elegance Designer paper came to the rescue. 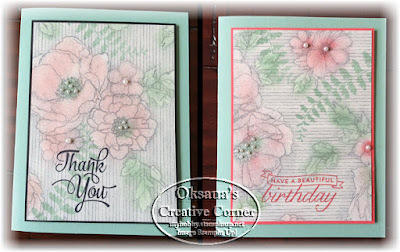 I saw elegant cards created by very talented Lyssa Zwolanek for Convention display and I use her design as my inspiration. Today I want to share how to make Flip Corner Fold cards. I made few more of them. 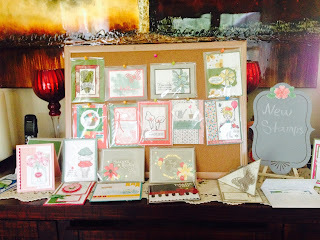 Love those cards as they are perfect for guys, and we all know it is not that easy to make masculine cards. 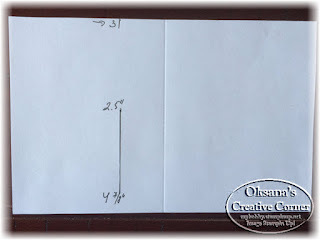 Align left top corner of card base at 3" mark, cut from 2.5" to 4 7/8"
The cut portion of the base is your card front. 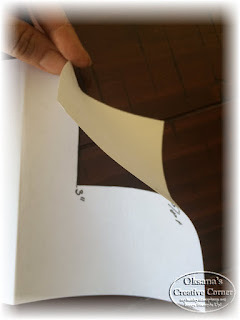 Lay it on the table positioned cut piece to your right (and not cut portion to the left). 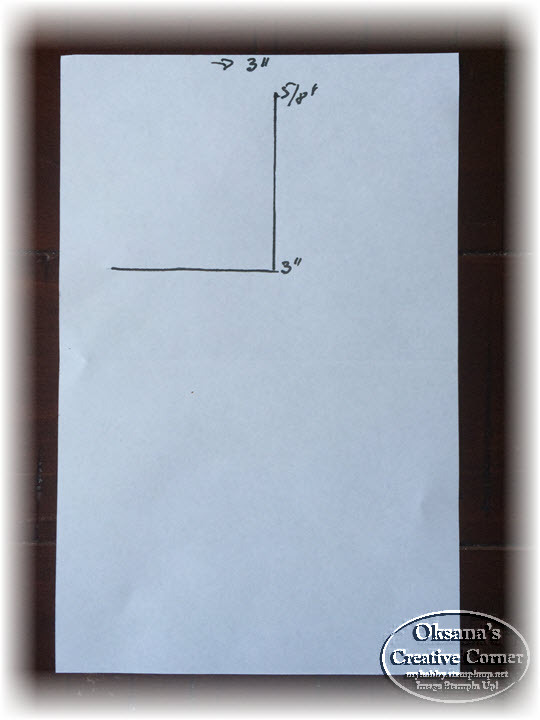 Hold top right cornet and 'flip' it toward card center. 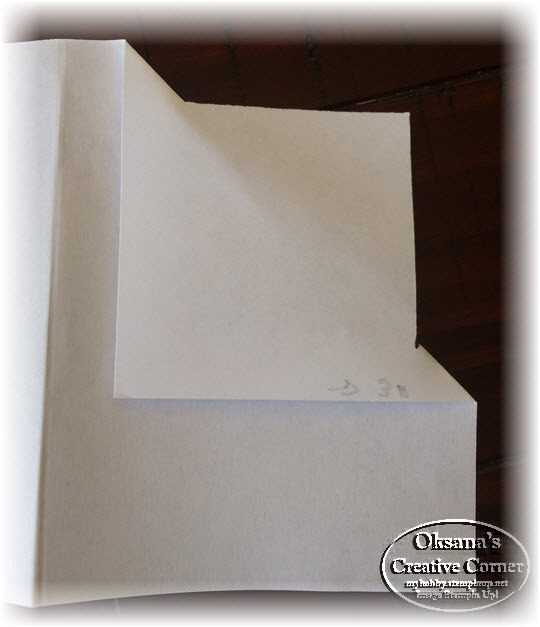 Align flipped corner in parallel to scored line and card bottom, crease folds with bone folder. Add glue dot or dimensional under the flip corner to secure in in place. 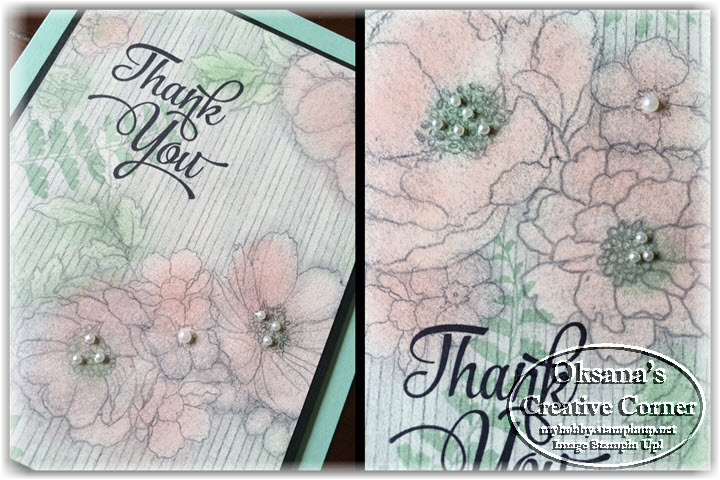 if you plan to stamp background on card front or run it through embossing - do it before adding the glue dot/dimensional. 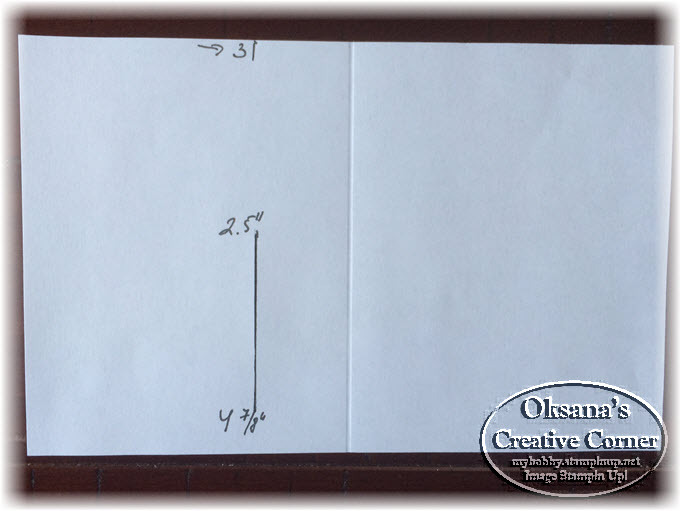 Stamp on 2.5 x 2.5 piece, adhere it to 2.75 square piece and then to the card front. 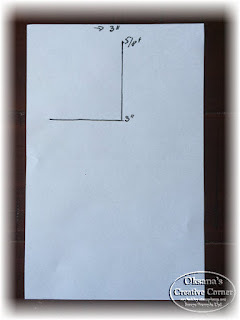 Do the same with 3.75x5 piece, adhere it to 4 x 5.25 and than to the inside. Possibilities are endless. After you do one or two - it is super easy and quick to put together. 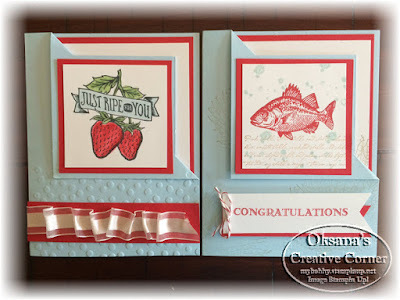 Now the hardest part will be - what color and design to choose for your next Flip Corner Card. 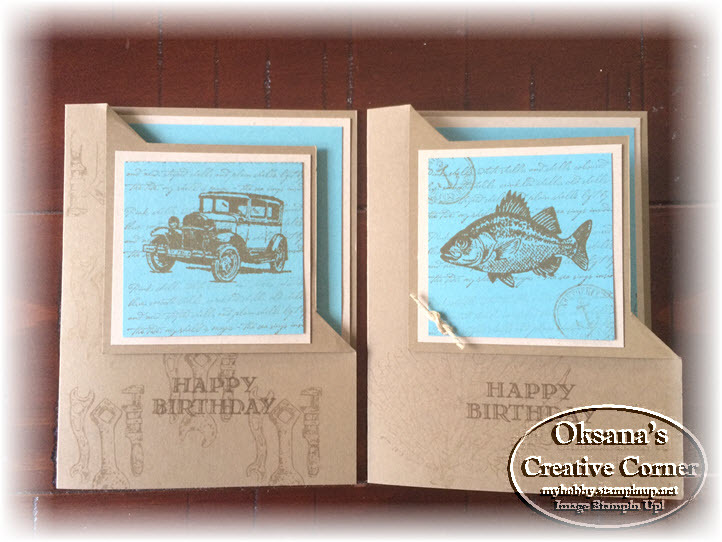 I would love to hear from you what do you think about this type of card fold. 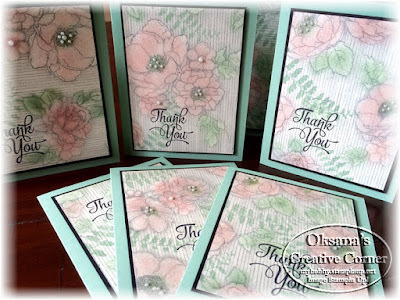 I had a great time stamping with my club ladies yesterday. Funky folds and 3-D items are my favorite to make and I decided to teach flip corner fold this time. 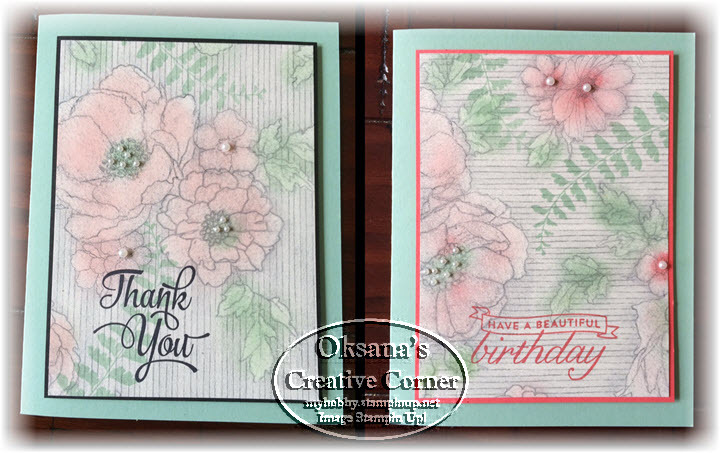 The other favorite thing of mine to do is to use the same layout and same supplies, but come up with 2 different cards. This card was a bonus card and my stamping friends had a choice to make. And guess what was the choice? 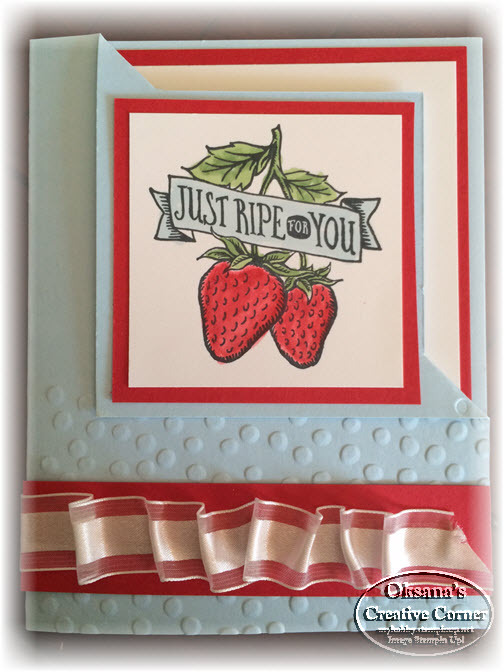 Everybody made the berry card (the reason was because it used the new stamp). But the fish one is my favorite. Stay tuned for more samples and instructions on Tuesday. 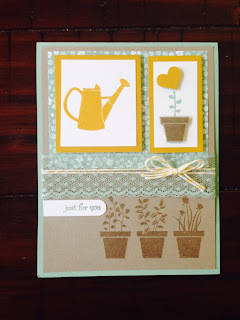 Happy Sunday and Happy Stamping. My Paper Pumpkin finally arrived. Actually - two of them. My daughter Sophia is a brand new subscriber too. The card and a box - are her creations. 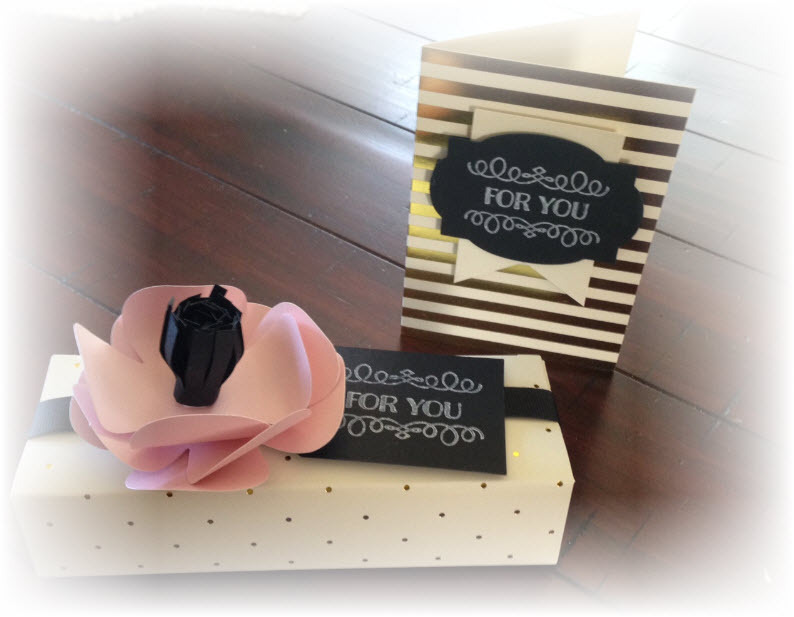 6 beautiful cards, 3 elegant boxes delivered to your door - it can not get any better than that! This past weekend, we had a blast with a garden-themed class. It was a colorful and lively day, full of conversation and stories-- and of course, stamping! 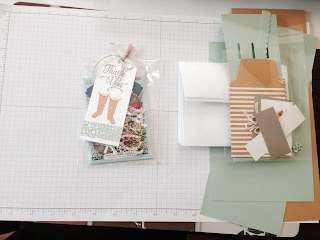 To start off the themed class, all the crafters got fun 'Thank You' seed packets: the colors and subject tied right into our project. 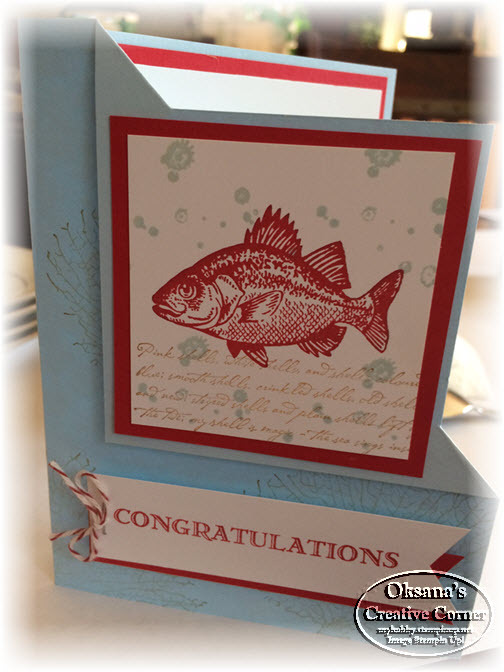 We then dived right into our four cards and gift card holder. It was great seeing both regulars and old friends; the conversation never stopped and we flew through our projects! 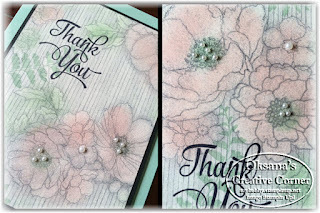 Though the mint macaroon and delighful dijon colors really complemented the stamp and style, I also demonstrated the brighter side of this theme. 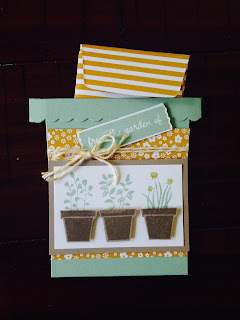 After a snack of homemade cupcakes and coffee, we discussed the usual: our favorite card! Though it was hard to choose, we all did in the end. 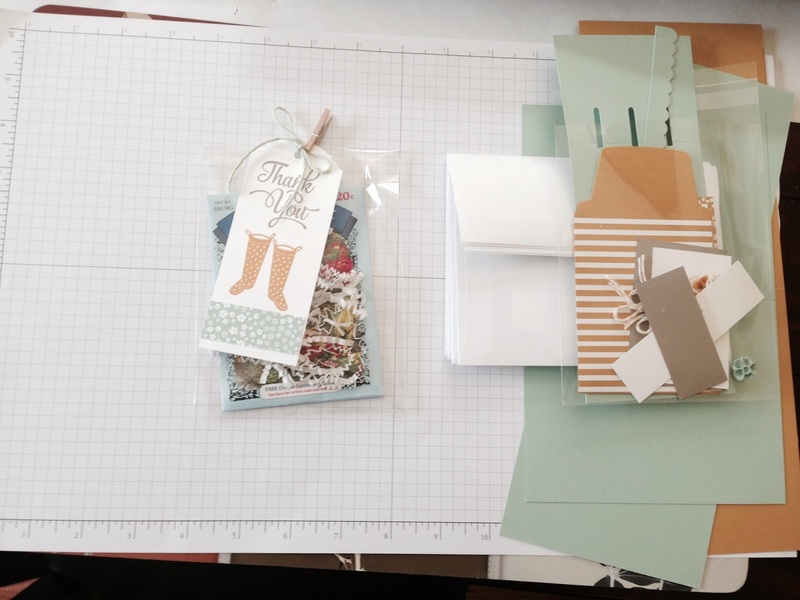 After the class, another demonstrator and I shared cards from the swaps and anecdotes from the convention. Though all the cards are beautiful, we had some clear favorites. My demonstration board shows off some of my favorite cards, both swaps and my own! 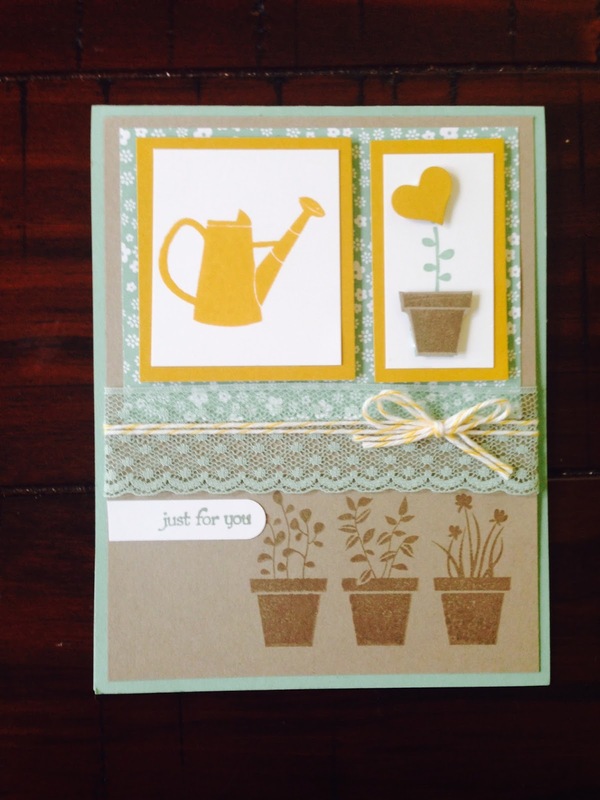 What a great class with friends and stamps. I can't wait for the next month for another round of good company and creativity!